It’s been quiet on this blog for a while. Rest assure though that I am still costuming my heart out! Finding the time to blog about it, now that’s the real challenge. Instead of showing you stuff I madein the last couple of weeks, I’d rather start with a quick update on things that are going on on my (our) lives. We’re remodeling the attic! 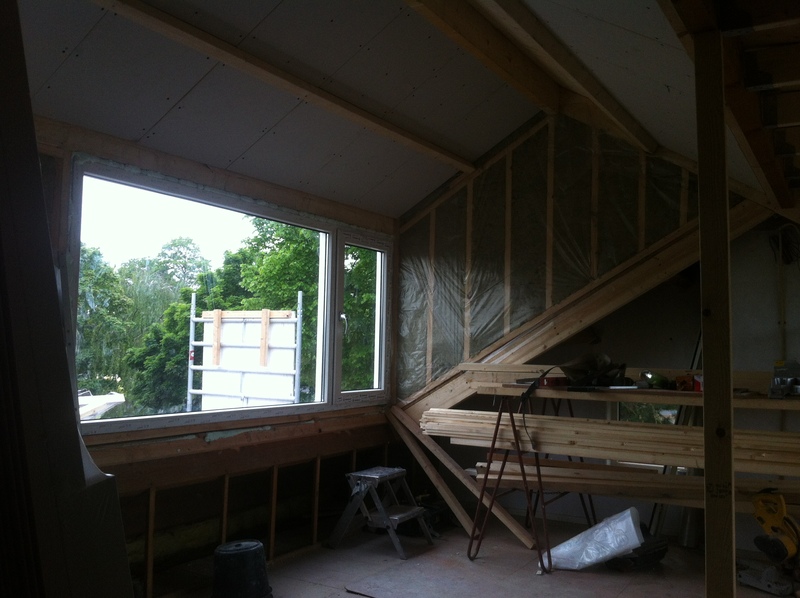 Four to six builders took over our house and transformed our attic into two decent sized bedrooms. They build two dormers and replaced the old window frames at the front of our house. 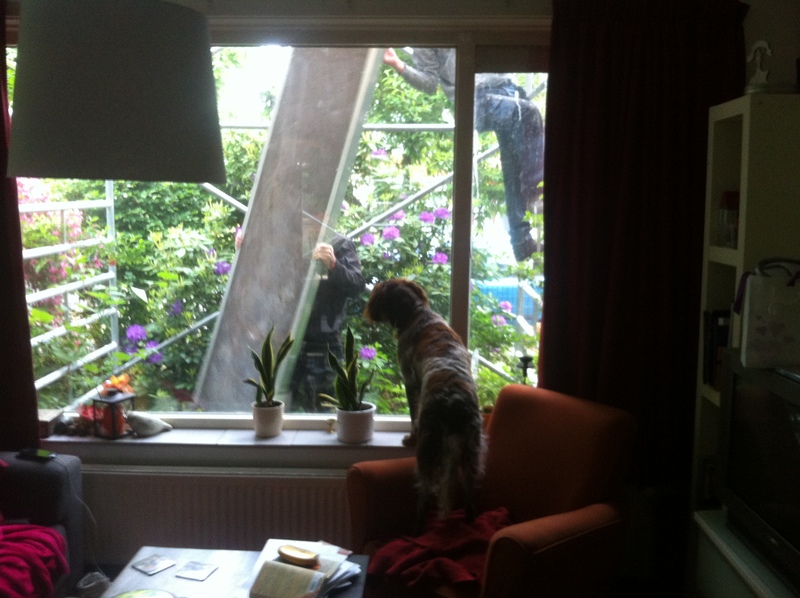 Our dog acted as their supervisor and kept a close eye on things. The downside of remodeling? Once the builders are gone, it’s left to us to finish the job. Like plasterig the walls, painting the woodwork, dragging all the stuff we stored in other parts of our house back upstairs. We’ll be busy with finishing the job well into July. But look at that space! For reference, the old roof is the diagonal beam in the right part of the picture. There were hafla’s, mermaids and drum solo’s. I did a performance as the moon that I am very pleased with. In a costume that I borrowed from a friend (thanks Laudie!) because I didn’t finish the moon goddess costume yet. 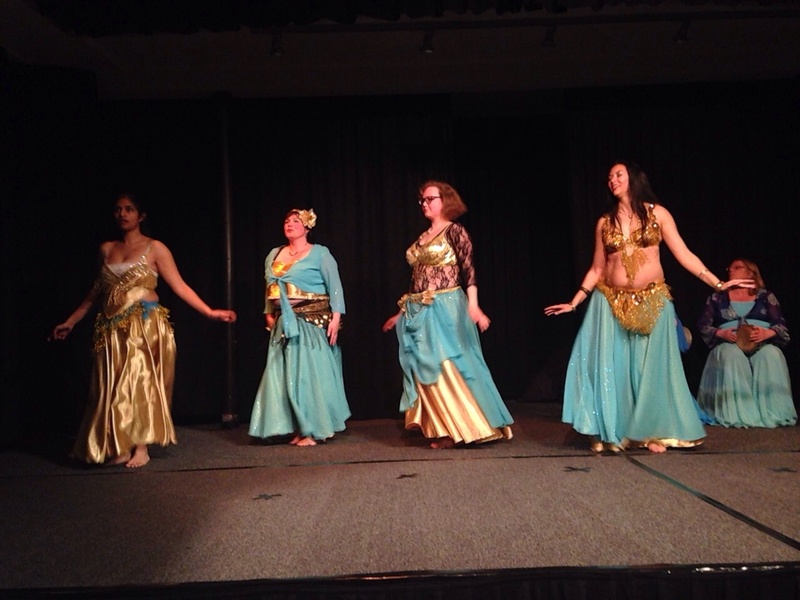 These are my students and me performing a drum solo with my dance friends from Sense of Bellydance drumming. That’s me on the right, with the blinged up old school Bella. My weekly classes are almost at the summer stop, which makes me sad and happy at the same time. Sad because I love teaching and happy because I am run down and tired and would love to have a break. See those blue skirts in the previous pictures? I got some left over fabric that I am transforming into costumes for my student recital next Sunday. By ‘some left over fabric’ I mean I had about 25 meters lying around. It was inexpensive and the guy at the fabric market offered me a discount for buying two bolts. I’m sure you’d done the same! There’s not enough to make double layer chiffon skirts for everyone, so I made five single layer chiffon skirts instead. Here’s a quick tip for hemming circle skirts when you’re in a hurry and the skirts have to be ‘one size fits most’. Hang them on a clothes horse or laundry line and leave them there for about seven days. The threads in the fabric need to adjust to their new position and gravity needs time to work it’s magic. Some parts of the fabric will stretch out a bit, making the hemline uneven. If I had time, I would put each skirt on my dressform and carefully cut the hemline to even it out. If I had more time, I’d go over to a friend, who would lovingly cut the hemline to my personal length while we eat chocolate, share bellydance tips and fawn over the latest costume designs. Unfortunately, my time is limited (see 1. House and 2. Dance). When I run out of time, I create shortcuts that help me do the job. 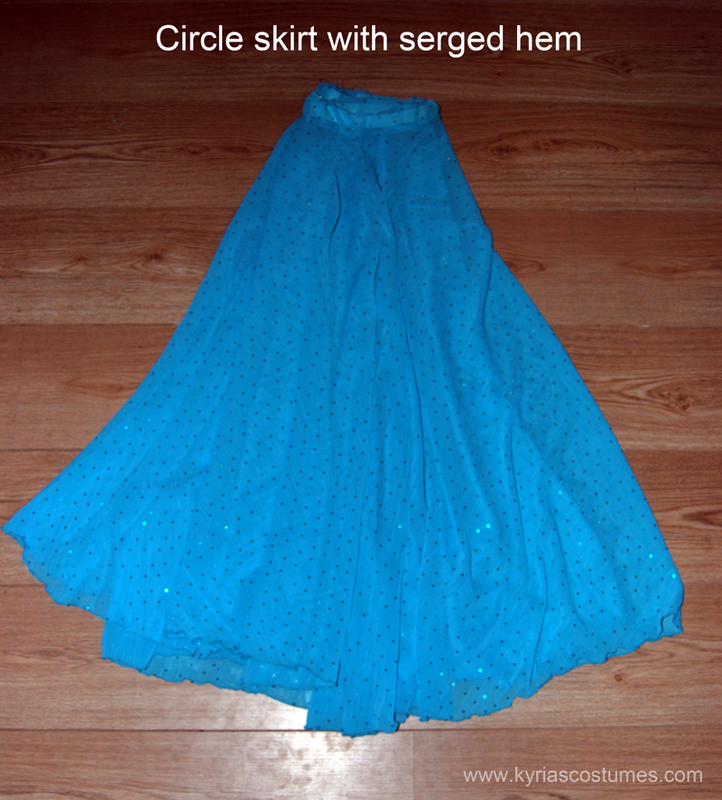 Take a circle skirt that is already at the correct length and hang it next to the unhemmed skirt(s). 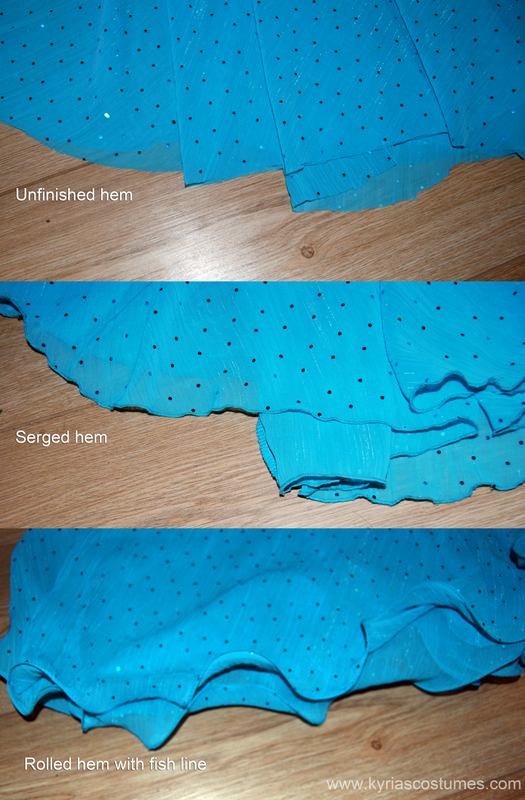 Make sure that the skrits are pinned on exatly the same way at the top, otherwise your hem might come out a bit wonky. I am aiming for slightly longer skirts with the last three because I am going to finish with a lettuce hemline. 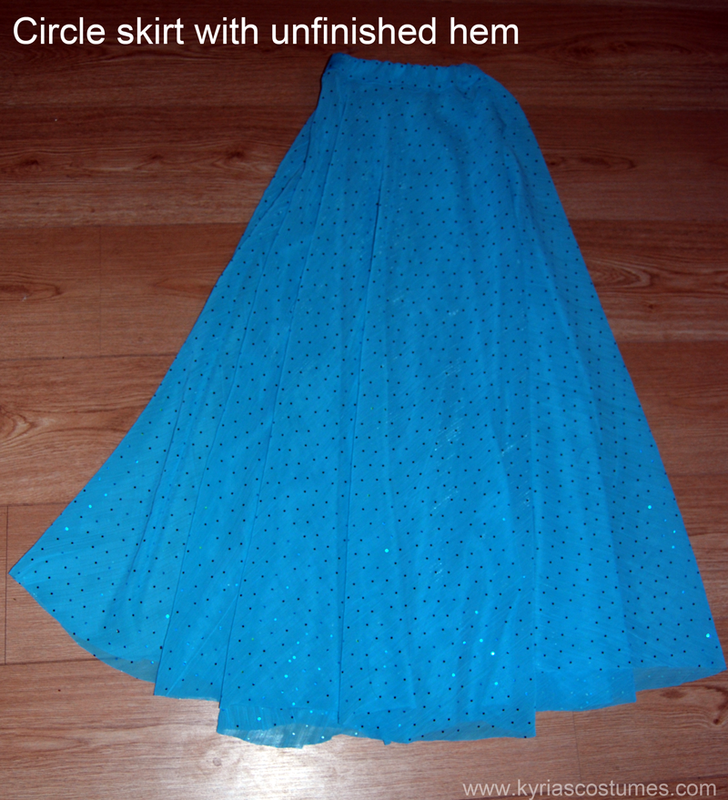 Using the finished skirt as a guide, cut the hemlines on the unfinished skirts. 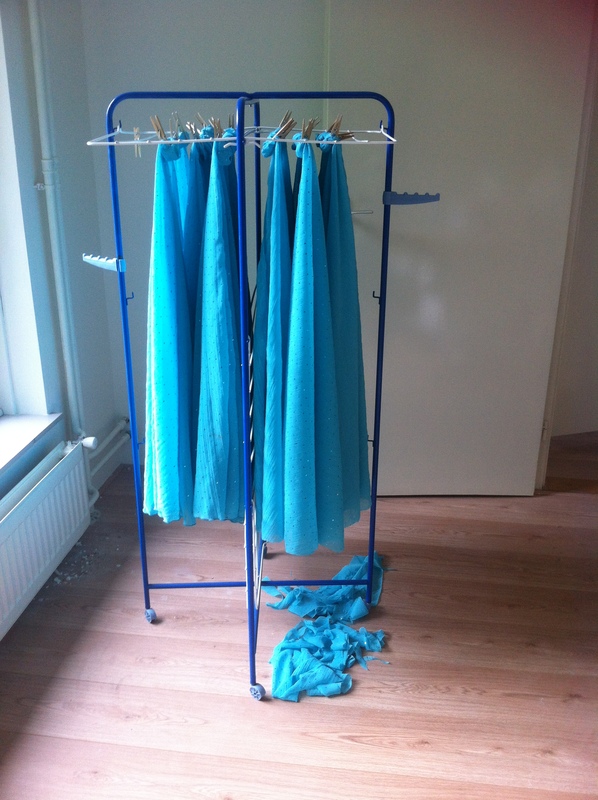 Tadaa, the skirts are ready for the next step! 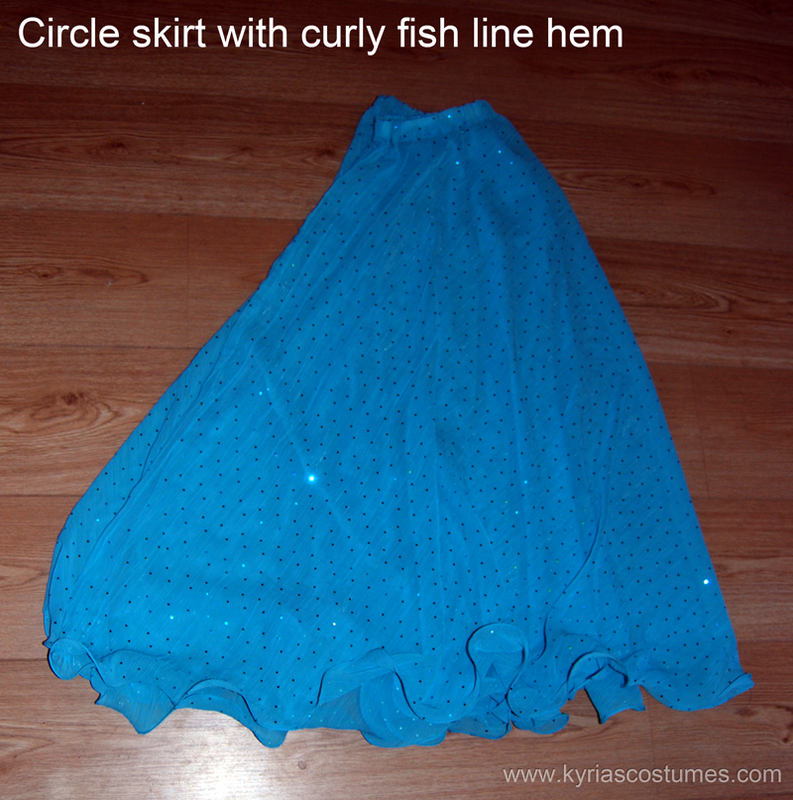 More about different ways to hem a circle skirt in a later post. If you enjoyed this post, please like Kyria Bellydance on Facebook or Twitter. If you have a question or comment, let me know through Facebook and I might write a blog post to answer your costuming question! Thanks for reading, and cut those circle skirts ’till you can cut no more!